There's a sign near this structure that claims it has the first dome in North India. 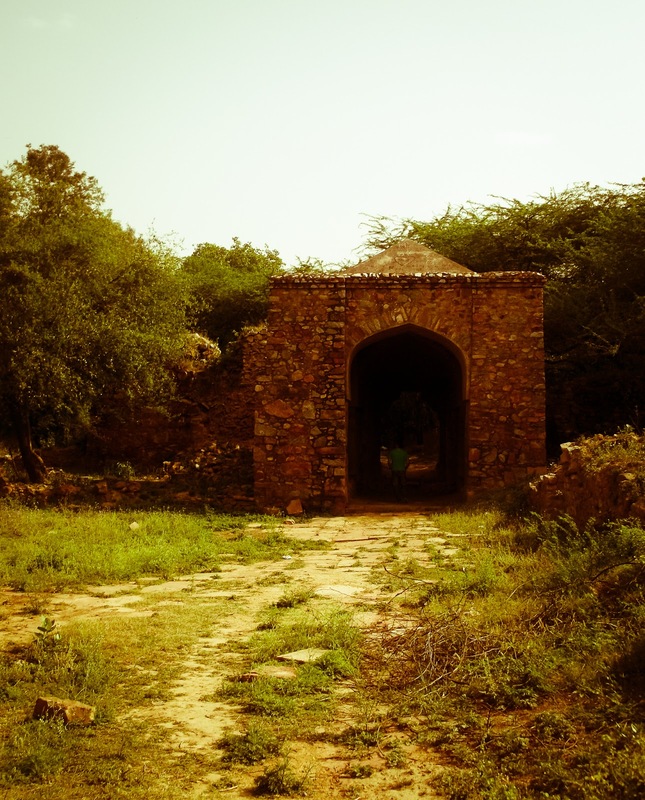 It is near to Balban's tomb--where the claim of "first arch" is located. The rumor is that the tomb also claimed the first dome, but since it is gone, the Alai Darwaza gets that monicker. So I don't know if what we have here is a poser or a false claim or just confused architecture (because does that look dome-like to you?). Just reporting what the sign says.